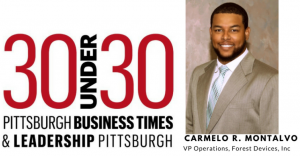 PITTSBURGH (July 31, 2018)—Carmelo Montalvo, a member of the Pittsburgh Life Sciences Greenhouse (PLSG) Under 40, Underserved Advisory Board, was recently named by the Pittsburgh Business Times to its 2018 “30 Under 30” Class of civic and business leaders. 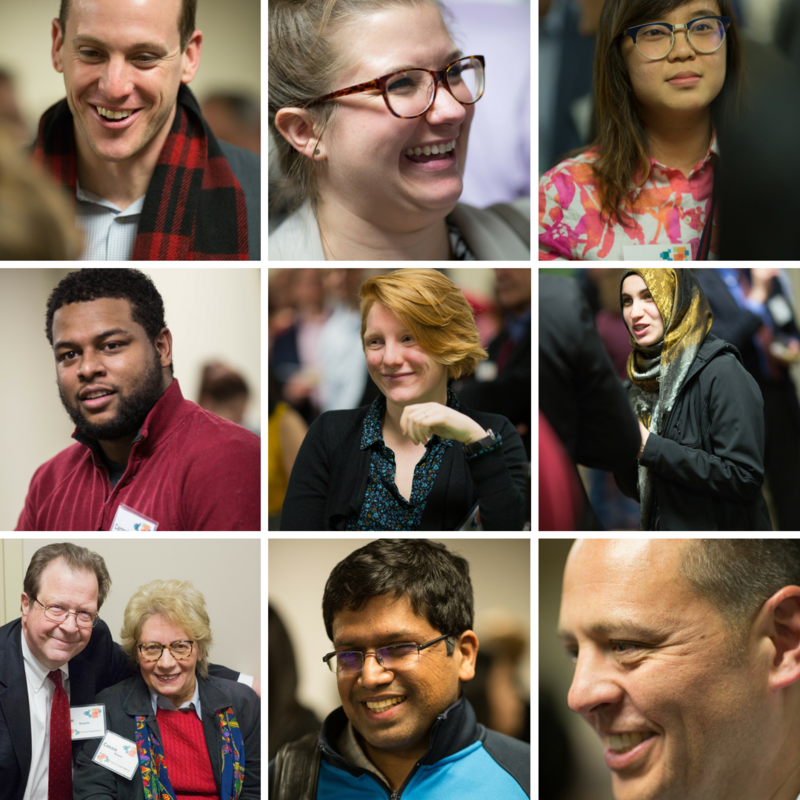 The Pittsburgh Business Times “30 Under 30” Awards, is an annual celebration of young professionals who lead their generation and our region’s organizations and business landscape forward. In its second year, the 2018 “30 Under 30” class represents the next generation of leaders comprised of young professional across a variety of sectors who are reinventing our region for generations to come. As a young professional, and transplant to Pittsburgh, Montalvo saw the opportunities of staying in the region and calling Pittsburgh home. In 2016, while completing his master’s at CMU in Healthcare Policy & Management and serving as a Defensive Line Coach for Tartan Football, Montalvo decided that he wanted to make an impact in the region by lending his talents and expertise to a life sciences startup. In 2016, Montalvo joined PLSG portfolio company Forest Devices as their Director of Operations. Forest Devices created AlphaStroke, the first stroke screening device that can be used by medical personnel in any environment. Presently, 50% of stroke patients go to the wrong level of care, or a hospital without stroke care, adding an average delay of two hours. Such swift treatment eliminates delay, which can lead to negative outcomes, disabilities, and roughly $50 billion in healthcare costs in the U.S. Currently, as the Vice President of Operations for Forest Devices, Montalvo has navigated the company’s growth, and he has been instrumental in successfully closing an oversubscribed seed round of $2.3M in funding for the company’s future operations. Montalvo has provided his time, knowledge, and expertise to help move the region forward and to help advance the vibrant and growing life sciences community for entrepreneurs here in Pittsburgh. He serves as a conduit within the life sciences ecosystem through his community service, specifically within the PLSG’s Under 40, Underserved Advisory Board. As an Advisory Board member, he advises the PLSG on how it can capture and share life sciences knowledge to improve the success rates of its younger companies and entrepreneurs in obtaining capital and de-risking their programs. Montalvo is a 2013 graduate of North Carolina Central University and obtained a master’s degree in Healthcare Policy & Management from Carnegie Mellon University in 2017. He was born in Brooklyn, NY and raised in New Bern, NC, and currently resides in Brookline with his wife and daughter. Forest Devices is a medical device startup located in Pittsburgh, Pennsylvania. They are the creators of ALPHASTROKE, the first stroke screening device that can potentially be used by all medical personnel in any environment. By re-purposing established technology, the team is developing a novel and objective stroke detection method. It would enable early and fast triage so stroke patients go to the appropriate level of care. Providing a faster, safer, and cheaper alternative, over 2 million unnecessary emergency room CT scans could be averted every year. With thousands of deaths and billions in costs annually due to inadequate stroke detection, they are determined to become the new standard of care. The Pittsburgh Life Sciences Greenhouse (PLSG) is a comprehensive life sciences economic development organization. We are dedicated to advancing life sciences in western PA by building on the region’s strengths in research, clinical care and life sciences entrepreneurship. We serve our community by providing knowledge, connection, and capital to help companies grow, create jobs, and improve the health of all humanity. For more information, please visit: www.plsg.com.